For some reason, probably the onset of the Christmas rush, I’ve been feeling incredibly stressed over the past week. As a result, my appetite was suffering until my sister came up to visit from London. We had such a good laugh, and I cooked a really good mushroom risotto with some crispy smoked bacon thrown in for good measure. Anyway, I still had quite a lot of mushrooms left so I finished them off in a mushroom ragoût tonight, along with the last of the smoked bacon and the one remaining glass of white wine, (Fish Hoek Sauvignon Blanc 2011), that I hadn’t drunk. My appetite is most definitely back. It may have a lot to do with watching ‘Masterchef: The Professionals’. I’m not convinced of their professionalism though, having watched some of them butcher more of their hands than the joints of meat they were given. Anyway, I’m not posting the exact recipe – I literally just chucked it together. I do recommend, for 2 people, 3 handfuls of different mushrooms, dry white wine, double cream, which is far better than single, and a good, rich chicken stock. Oh, and fresh thyme. 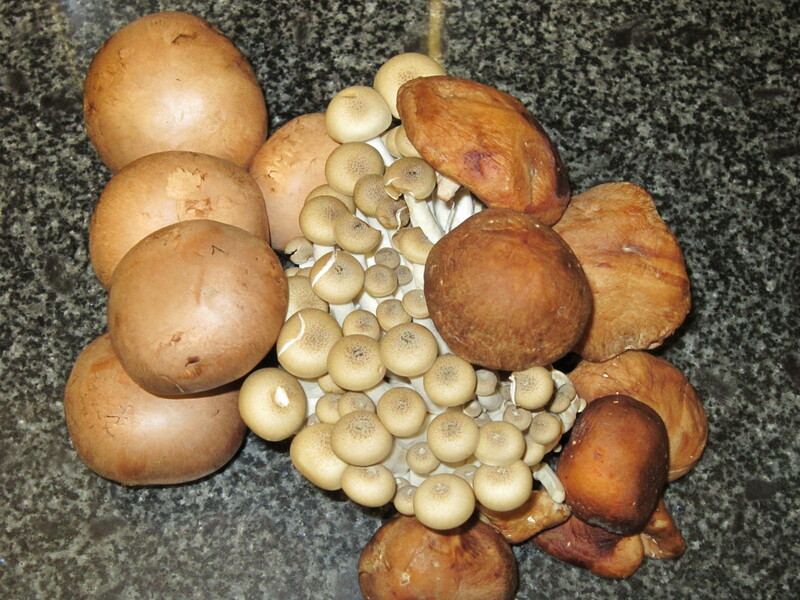 Add it in the order of this rhyme – ‘mushrooms, seasoning, wine, stock and cream and thyme’. 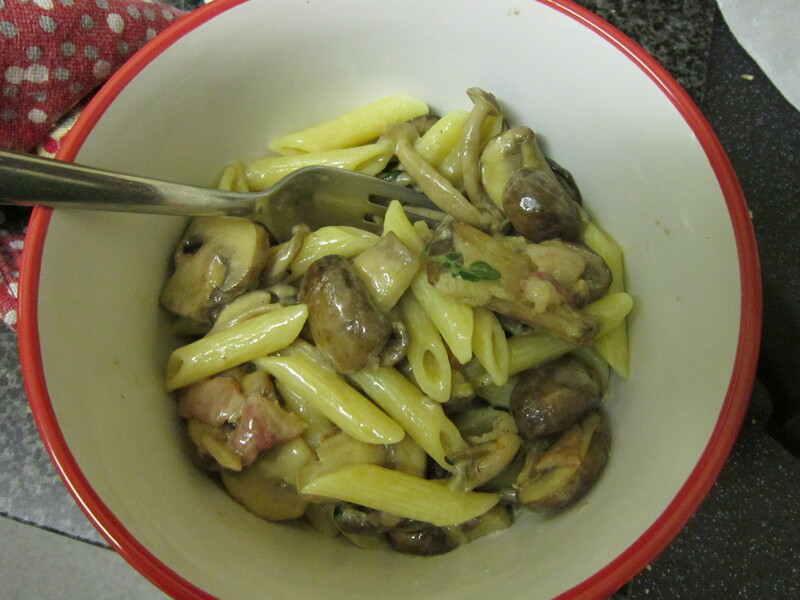 Soften the mushrooms, add 1/2 glass wine, cook down, add stock, cook down, add cream, cook until thickened, throw in a tsp of chopped thyme, stir into the pasta – tada!